Scotch physician and surgeon; born at Edinburgh 1817; died at Jamaica Nov. 26, 1858. Educated in his native city, he obtained honors at the university, and became a licentiate of the Royal College of Surgeons, Edinburgh. He subsequently visited Paris, Berlin, and other European cities, acquiring professional experience. Ashenheim practised for some time in London, lecturing frequently and being an active contributor to the Anglo-Jewish press. 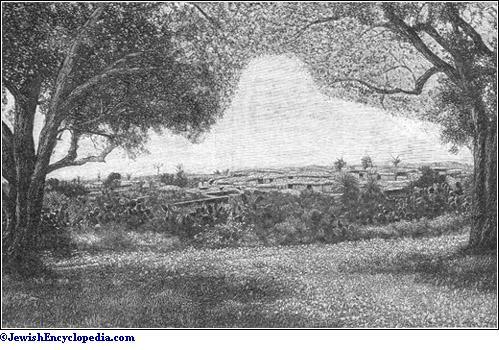 He emigrated to Jamaica in 1843 and settled at Kingston, where he practised till 1850, when he removed to Falmouth, a port on the north coast of Jamaica. In addition to his practise, and lectures more or less connected with his profession, he addressed the public, through the press, on sanitary reform and on compulsory vaccination, of which he was an able advocate. At Falmouth he rendered valuable services during an outbreak of cholera. 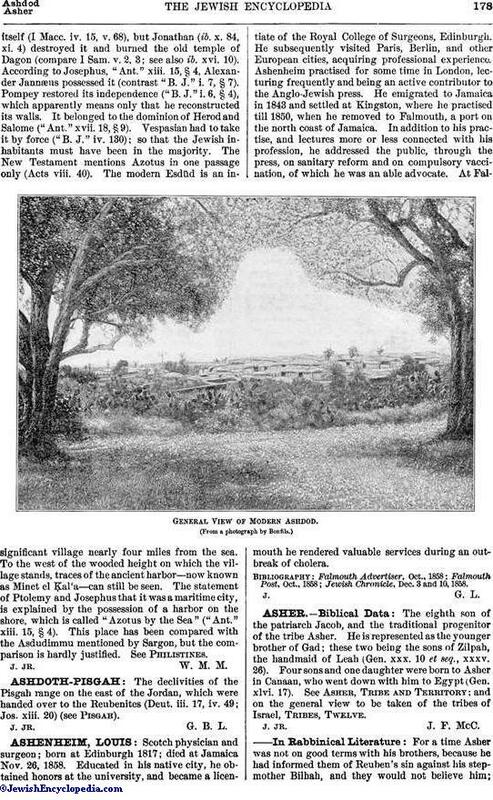 General View of Modern Ashdod. Jewish Chronicle, Dec. 3 and 10, 1858.